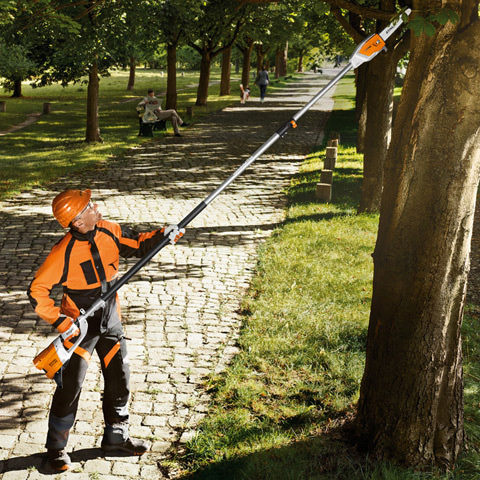 The STIHL HTA 85 telescopic pole pruner is perfect for those hard-to-reach jobs. 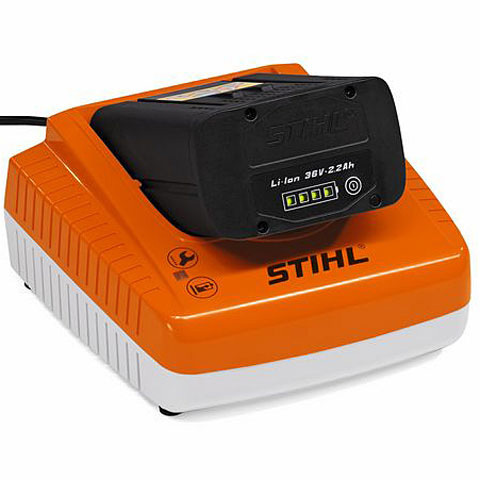 Lightweight, powerful, extremely quiet for work in noise sensitive areas and yes, zero emissions! Can’t reach your work? 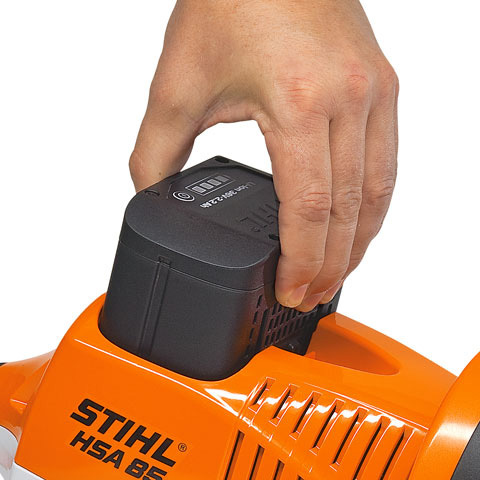 STIHL has the solution once again! Battery and charger sold separately. 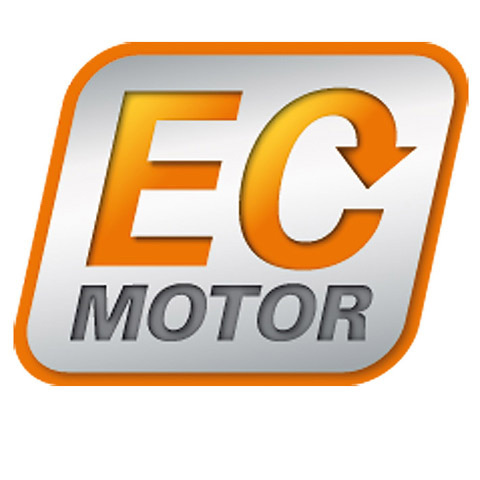 Maintenance-free , brushless and efficient STIHL EC motor ensures a longer run time in operation and increased service life for maximum cutting performance. 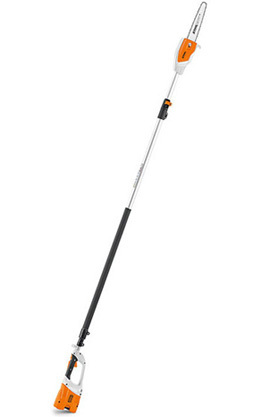 Adjustable telescopic shaft that can be extended from 2.70 m to 3.90 m, so you can reach branches up to 16 ft. high. 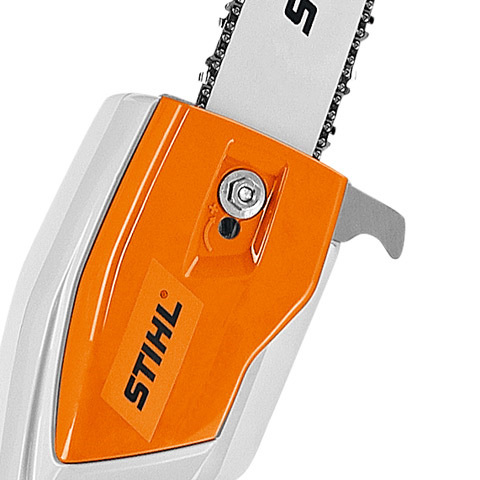 The clamping screw is located to the side of the bar preventing contact with the saw chain for safety.